FINALLY! You can now live out all your goaty dreams in Goat Simulator. Warning: NSFW language. 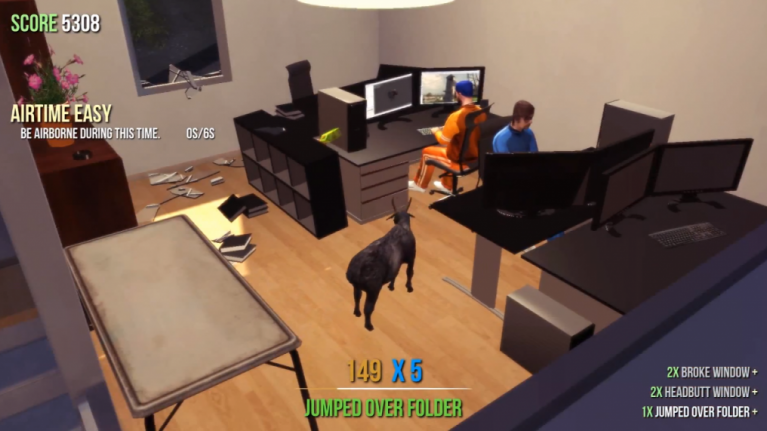 The popular gaming YouTuber known as Robbaz has downloaded the glitch-filled Goat Simulator and, in fairness, it looks absolutely hilarious. Robbaz takes his goat out for a stroll around the town while he provides his usual NSFW commentary, which only adds to the humour. As we said, it’s absolutely filled with minor glitches that the developers, Coffee Stain Studios, said they were leaving in because they made the game ‘more interesting’, so don’t hold that against it.